Very professional and quality work. We had a great experience with this company. They were always on time, very respectful, delivered what they promised and on time. 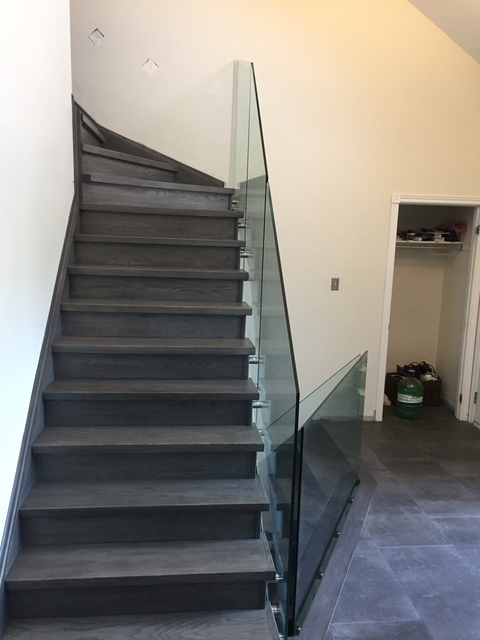 Custom Dream Stairs gave us the dream stairs we always wanted! Thank you guys for your great business! 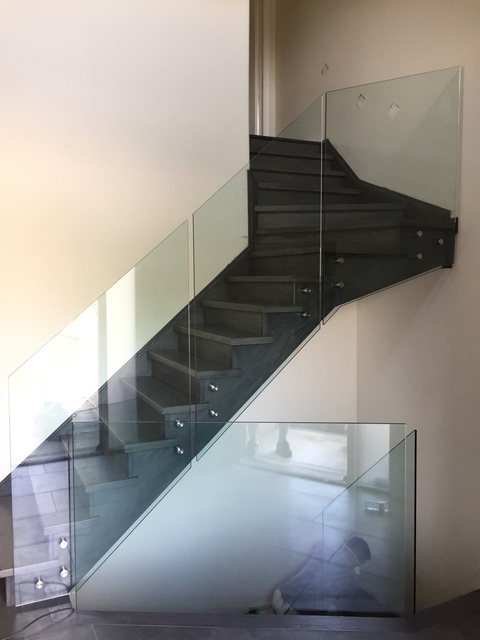 Thank you for your support, no wonder we call custom dream stairs(lol), looking forward to do more business with you. Thank you for your business and support, wish you lot of happiness and joy with expending family, looking forward to see you again. Great work, Great Commitment, Great Delivery! Very patient, knowledgable and honest with greate sense of commitment to deliver and after sales warranty. This company is a gem! Great access to a large variety of designs and samples and colors and remarkable implementation at a fair price. Working with you and your family was a great opportunity, looking forward to see you again. Contractor was hired to remove carpet in living room master bedroom family room upstairs and stairs and replace same with hardwood flooring. 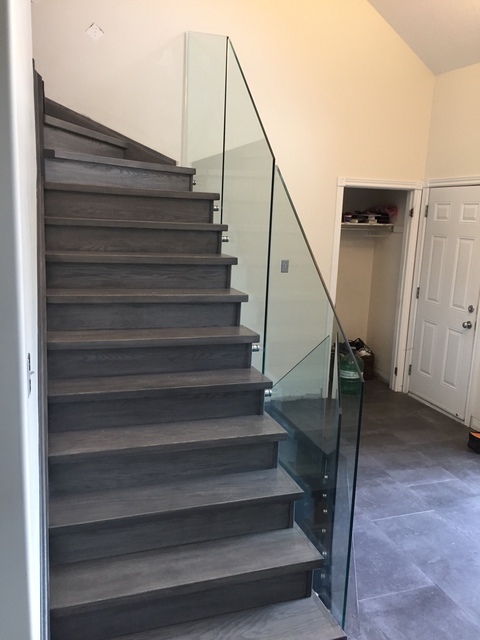 Work process was not detailed in contract and I asked Hameed about the work process and job specifics and he assured everything would be done and I would love my new flooring. Turned out never trust anyone who insisted that everything will be okay. Sloppy job has totally devalued my property and I m still waiting for him to finish the job. Four or more different set of crew members including Hameed and the job not professionally done. The stairs was done by him hence he cannot blame workers. He collected more than enough money for material yet he hardly wanted to provide any or ensured that materials for the job was on hand. Something as simple as nail and waxed paper. Customers beware, if you are not familiar with the job process of hardwood flooring, for your sanity, do not use this man. He will try and getaway with using straw for hardwood and if questioned, ask you if you prefer hardwood. See pics of professionally work and his consideration of a job completed. It’s very unfortunate after all the effort and trying hard, plus all the cost for you as well as our company, to hear not only you’re not satisfied, you won’t give us 7-9 from 10 because of everything that was done in your satisfaction, other than couple small issues here there, which we were and are willing to addressed them to your satisfaction as told you and scheduled to do so, but unfortunately you cancelled the appointment (because of your doctors appointment) and then we were closed for new year holidays. You mentioned the job was done with 4 different crews, here are the reasons, we had scheduled the first crew for hardwood installation and you and your family liked to remove the carpet and move the furniture ( of course for your saving) but then at the first day our crews arrived you haven’t done those and ask us if we can do those for you( of course you offered you’ll pay for the cost although Mr JAMES was thinking $300 or $400 it’s a lot for two floor carpet removal and move 4 rooms of furniture around) but our crews wouldn’t be able to do so because they weren’t prepared for carpet removal and disassemble the beds and move them around, also they couldn’t stretch their 3 days initially scheduled because they were booked back to back for next job related to busy December, therefore we replaced them with another crews next day and they did finished the hardwood Flooring, we had to move our crews to another job but your floor was done with no interruption, Right after the floors were done our stairs installer did the stairs and the next day we had the finishing team of two persons to complete the job with the railings and touch ups, also take care of any concerns you had, from floor to stairs and railing to touch ups and trims, at all this time we had communicated with you and inform you the process and everything you should know. Also mentioned we weren’t generous with material and waxed paper or else, as far as we know we left you with extra boxes of wood, pieces of trims, nosing and all sort of extra materials, also we insured that our crews have enough nail and glue to get the job done. 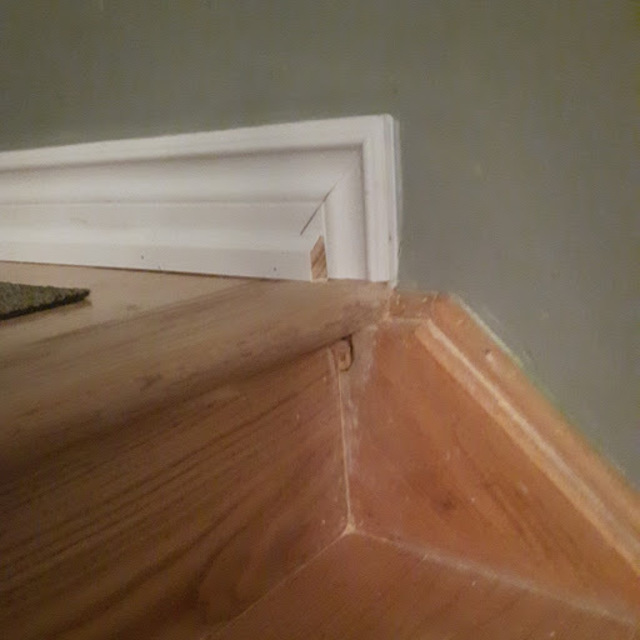 If you are wondering it’s very easy to measure the amount of nails were used in your floor if you have any concerns with that, also with Hardwood flooring if you don’t follow the installation guide lines they wouldn’t even stay in place and start buckling or moving, so it’s not possible to install hardwood floors with anything other than right nails. At the end we like to mention all of our crews are hardworking people and we know how to achieve perfect job, although our customer budget is a big factor too, also sometimes it’s hard to make some people happy, we read rest of your reviews about other businesses as well and realized, it’s hard to meet your expectations, especially if you have to pay for extra toppings. Also please keep in mind you still owe us $200 that was blocked by you to insure we take care of your concerns although it was not part of the agreement. Still we thank you for the opportunity and willing to address your concerns, in your convenient time, you have two full years from date of your invoice to let us in for any concerns you may have. At the end we are going to attached some of our texts and emails regarding the job and process for whom may concern. Since I have not heard from you I assumed that you do not have any intention of completing the job. Hence I'll be pursuing other alternatives. Last time we talked you called me and canceled the schedule for Dec 22 because of your personal stuff and you mentioned you’ll call me to reschedule, that’s why I was waiting for your call. pls accept our apologies, and let me know when do you like us to stop by and address your concerns. Looking forward for your response in email, text or phone calls. 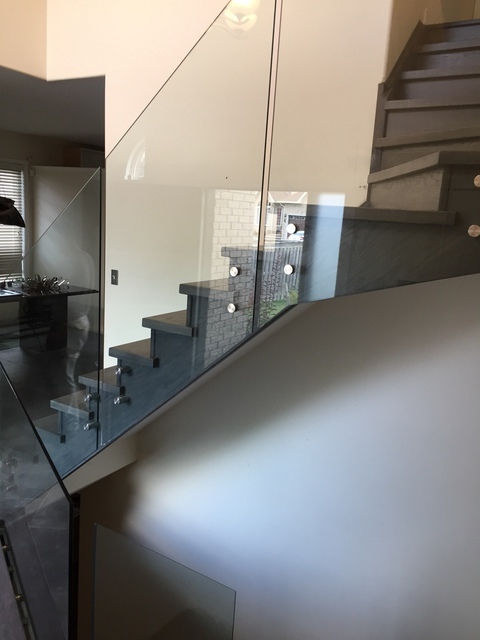 I discussed my project directly with the owner, without the need to deal with a sales man. Knowledge and experience played big role in putting together a successful beautiful project. His team was fantastic, honest and great workers. They didn't slack on the job and was done faster than was planned for. We are very pleased to do business with you and your family, thanks for your continued support and opportunities, looking forward to do more business with you. 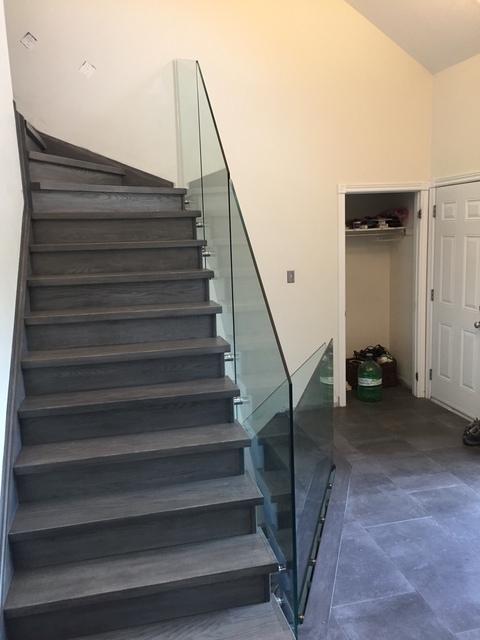 We had hardwood floors installed and stairs recapped. 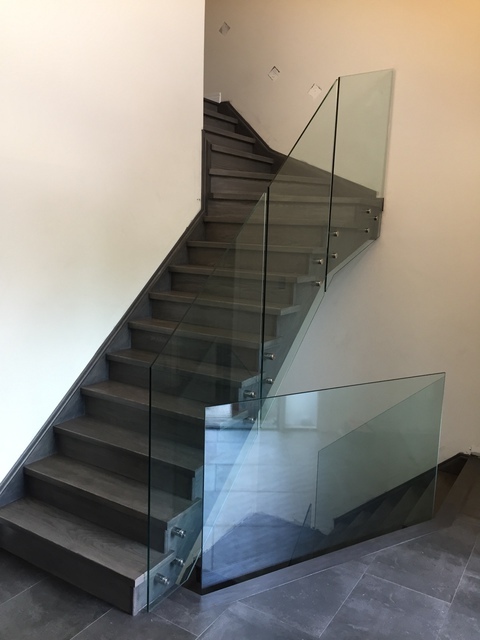 The hardwood floors were exceptionally well done and we are very happen with the stairs. We are very happy we did this project. I hired this company to replace spindles, posts and cap stairs. 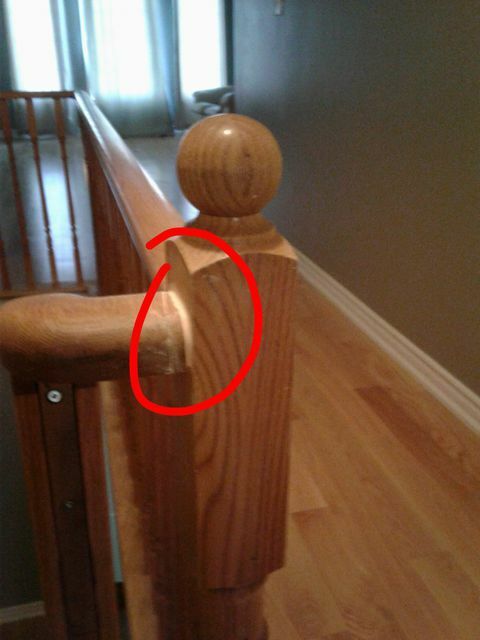 I questioned the quality of workmanship but was told it was fine and could be done no other way. (They use hollow spindles which no other company seems to use.) 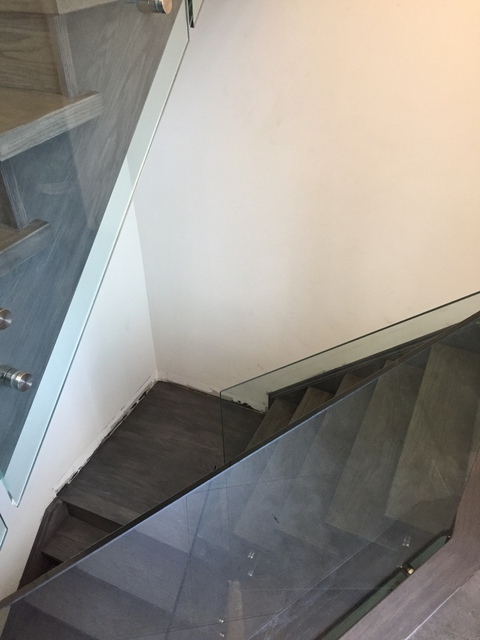 It turns out the job, as verified by two other stair contractors, demonstrates not only poor workmanship, but is also not up to code. Unfortunately, I will take the loss to ensure the work is done properly. Buyer beware.